Whoever ran the benchmark decided to compare ZFS with lzjb, ZFS with gzip, against ext3. Their analysis states that ZFS-gzip is faster than ZFS-lzjb, which is faster than ext3. They admit that the benchmark is I/O bound. Then they state that compression effectively speeds up the disk I/O by making every byte transfered contain more information. The analysis goes down the drain right after that. While doing background research for this blog post we also got a chance to investigate some of the other features besides compression that differentiate ZFS from older file system architectures like ext3. One of the biggest differences is ZFS’s approach to scheduling disk IOs which employs explicit IO priorities, IOP reordering, and deadline scheduling in order to avoid flooding the request queues of disk controllers with pending requests. All they had to do to make their analysis so much more interesting and keep me quiet was to include another set of numbers — ZFS without compression. That way, one can compare ext3 with ZFS-uncompressed to see how much difference the radically different filesystem design makes. Then one could compare ZFS-uncompressed with the lzjb and gzip data to see if compression helps. Based on the data presented, we have no idea if compression helps — we just know that compression and ZFS outperform ext3. What if ZFS without compression is 5x faster than ext3? Then using gzip (~4x faster than ext3) is actually not the fastest. 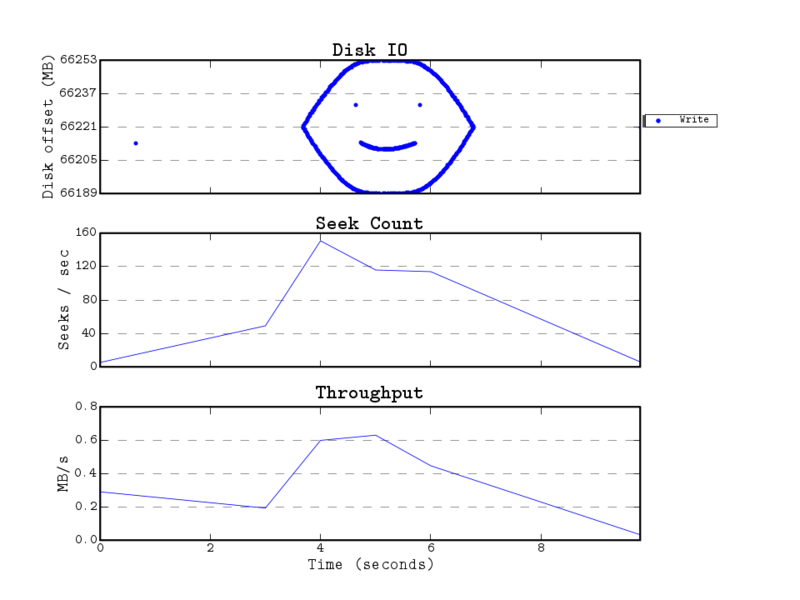 To be fair, knowing how modern disk drives behave, chances are that compressed ZFS is faster than uncompressed ZFS. Since CPU cycles are so plentiful these days, all my systems have lzjb compression enabled everywhere. I do this mostly to conserve space, but also in hopes of transferring less data to disk. Yes, this is exactly what their benchmark attempts to show. (I haven’t had a chance to experiment with the new-ish lz4 compression algorithm in ZFS.) My point here is solely about benchmark analysis and unfounded (or at least unstated) assumptions found in just about every benchmark out there.